Stylish and Cozy Comfort for 8 People, WiFi, Cable, Smart TV, walk to Downtown! Warm and inviting kitchen space. Dawson Pines - Short walk to Payette Lake and Downtown. Two level home in the pines. Patio and Firepit. Dine outdoors, electric BBQ. Warm and inviting living space. Lots of natural light. Plenty of counter space for easy meal prep. Bright, wide hallway. Open design with warm lighting. Downstairs bedroom with queen bed. Spacious, downstairs guest bathroom adjacent to downstairs queen bedroom. Well lit, carpeted stairwell. Upstairs guest bedroom - bright space with room to roam. Upstairs bedroom has queen bed. Loft has twin daybed with twin trundle. Upstairs guest bathroom. Attached guest bedroom has additional hall access. Tub and shower - hall or guest bedroom entrance. Upstairs master suite has king bed and attached bathroom. Master bath has walk in, slate shower. Access balcony from Master Bdrm. and lounge on the west facing deck. Great entertainment space. Covered walkway to front door. Well lit hall. Located within a short walking distance to Payette Lake, the marina and downtown, Dawson Pines is the perfect home base for your McCall experience. Up to eight people can be comfortably accommodated in this 3 bedroom, 3 bath home with additional sleeping loft. Cozy living spaces indoors and out. Lounge on the upstairs balcony located off of the master bedroom or gather round the fire pit out back on those chilly alpine evenings. Outdoor dining is an option when you cook up something fun on the electric grill. Nice kitchen, chock full of everything you need to create and enjoy great meals. Bright, dedicated dining area and kitchen have faux, plank wood flooring which creates a warm and inviting space. One guest bedroom downstairs, with queen bed and adjacent hall access to a spacious bath. Upstairs you’ll find two Master suites plus a loft/lounge area. One suite has a king bed with an attached bath and private balcony. The second suite has a queen bed and attached bath. The loft has a twin day bed and twin trundle. You are just a short stroll to the Alpine Playhouse which hosts fun events year round. Just a mile away, enjoy Ponderosa Park where you can find hiking and cycling trails, boat launch and amazing vistas above Payette Lake. Never more than ten minutes from back country access, McCall is truly a year round recreationist's dream. Your worry free, DoneRight Management Vacation Rental is equipped with linens, bath towels and essentials that include guest soaps, shampoo/conditioner and hair dryer as well as Kitchen essentials and towels. To start your vacation off right, we’ve provided a days worth of supplies including your morning coffee, paper towels, bathroom tissue and garbage bags. Also provided where required is propane for gas grills, and enough wood for fireplace use during your stay. For properties with a fire pit, you can purchase wood at several local stores. Our little guests are important too, most homes include a pack n’play, high chair, booster seat and baby gate. Please check the amenities sections for the property you’ve rented on our website as you may have to bring some of these items with you. 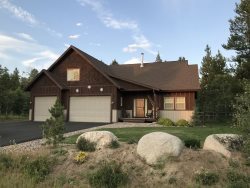 Walking distance to downtown McCall and Payette Lake. Patio with outdoor furnishings and fire pit. Central heat and propane fireplace. One car garage plus two car driveway. Limited street parking. 27 hole municipal golf course within one mile. Best property management team I've worked with. Appreciate their service! I was impressed that when I called after hours to do a last minute booking, I got an answer from a gal (I forgot her name sadly!) and she was SO helpful. Wound up working with her and Don Paul to get a booking for less than 12 hours away, and they were friendly and didn't make it seem like an inconvenience at all. McCall is a mile high city located at the north end of Long Valley in Valley County, Idaho. We are surrounded by the Payette National Forest and enjoy access in all directions. Nestled in the Mountains with the natural gem, Payette Lake, at their base allows vacationers countless opportunities to discover and explore the outdoors. Lake and river fishing, boating, downhill and Nordic skiing, snowmobiling, hiking, biking or soaking at one of several hot springs in the area bring our guests back year after year all year long. Savor an alpine summer sunset from your balcony or deck or lakeside at Legacy Park. Hell’s Canyon National Recreation Area or the Frank Church Wilderness is both just a scenic, 90 minutes drive east or west.